I believe Nolan spent 1969 racing USAC sprints. 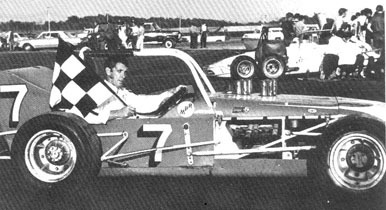 Nolan returned to supermodifieds in 1970 driving the new Max Dowker #7. Although he still did race USAC sprinters. 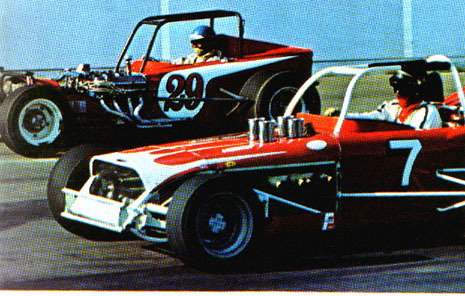 Here is a 1970 Harry Goode photo of Nolan in his #21 sprinter at Eldora, racing alongside another legend, Parnelli Jones in the 32. Nolan racing Mark Letcher, 1970. Classic shot of Nolan in his STP cowboy hat. 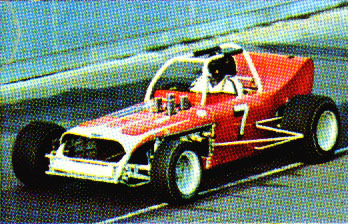 Nolan Johncock in the Max Dowker #7, 1970. Notice the big tank - rumor is that Nolan twice lost the classic by running out of gas on the last lap, 1967 and 1968.